The Turkey Stock Recipe we use for the Best Gravy on Thanksgiving and Christmas. 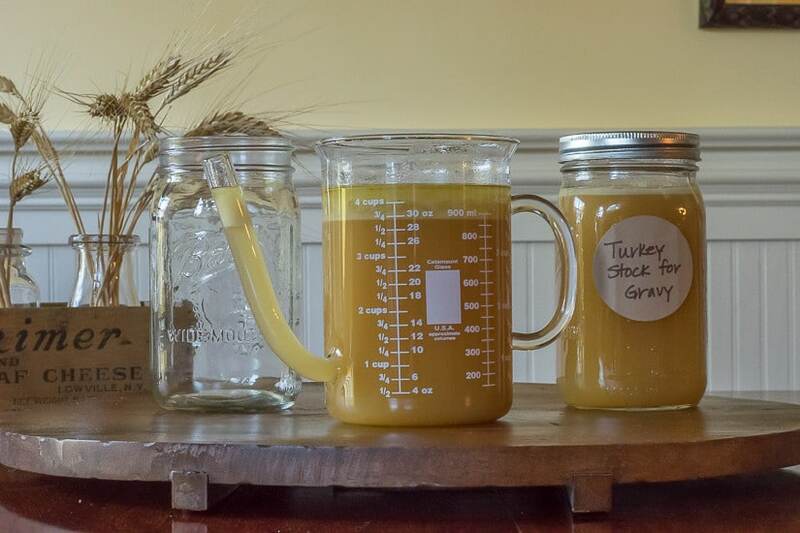 How could I possibly talk about Thanksgiving Preparations without sharing our Turkey Stock Recipe, which we use to make the very best gravy on Thanksgiving day and for soup anytime. It’s so easy to make this stock ahead of time and put it in your freezer until you need it. 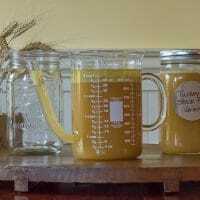 Homemade turkey stock is the basis for outstanding gravy, as well as soups. While wings are roasting, put 7-8 cups of water in your stock pot. You will add more water and reduce it down and it’s helpful to have a sense of where the level of water should be once reduced enough. Then put the veggies into the stock pot with the wings. At this point, I measured from the top of my pot to the water level because that’s where I’m going to want the level to be when it’s adequately reduced. One is to make a roux with equal amounts of flour and fat (about 4 TBSP each) and whisk it until it is a nice light brown and smells a little toasted. Then I’ll slowly whisk in 4 cups of my turkey stock and add salt and pepper to taste. The second is to use the drippings from the turkey. I bring that to a simmer and slowly whisk in a slurry of 1/4 cup flour and 1 cup water/broth and about 3-4 cups of the stock. This seems to be a richer and more flavorful gravy. We also use this stock for hearty and nourishing soups. If you are looking for a light in fat and calories, but hearty in taste, check out this Creamy Turkey Soup. You may be surprised at the secret ingredient that makes it so creamy. Have you started your Thanksgiving Preparations? What do you do ahead of time to make Thanksgiving day a tad easier? Bookmark this page or Pin the following image for your future reference.